Showing 10 records. From 1411 to 1420 (from a total of 1520). Our whiskey is made by hand in our Virginia distillery with the highest quality, locally sourced ingredients. MurLarkey is a certified craft distillery that produces gluten free vodka, gluten free gin and other craft whiskey in based on family recipes. 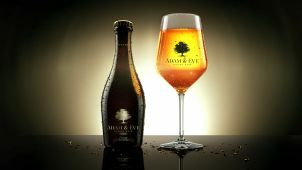 Adam and Eve is a belgian luxury craft beer. We are spirits distributors in USA looking for Mezcal. Looking for liquor and liquor based products for distribution in Maryland and DC, USA. Craft and new products welcomed! Constellation Brands has acquired minority stakes in two spirits firms for undisclosed sums: the Copper & Kings American Brandy Co and The Real McCoy rum. In the month of December, sour brewery New Braunfels Brewing Co shipped 130 cases and 55 kegs to two new distribution partners outside of Texas. Introduces two new series – Hefe X and Portland Pub Series – and brings back fan favorites Deadlift Imperial IPA and Green & Gold Kölsch. Independent bottler Whisky Foundation Reserve has released a rare Springbank 24 year old single malt whisky, the price of which will rise based on market demand. Results are in for the 2018 International Women’s Wine Competition (IWWC), a contest judged solely by leading wine industry professional women.